Pieces of the puzzle are continuing to fit together as an FBI informant prepares to go before Congress with a "treasure trove" of documented evidence in what is potentially the largest ever criminal conspiracy to rock D.C. and this nation!! 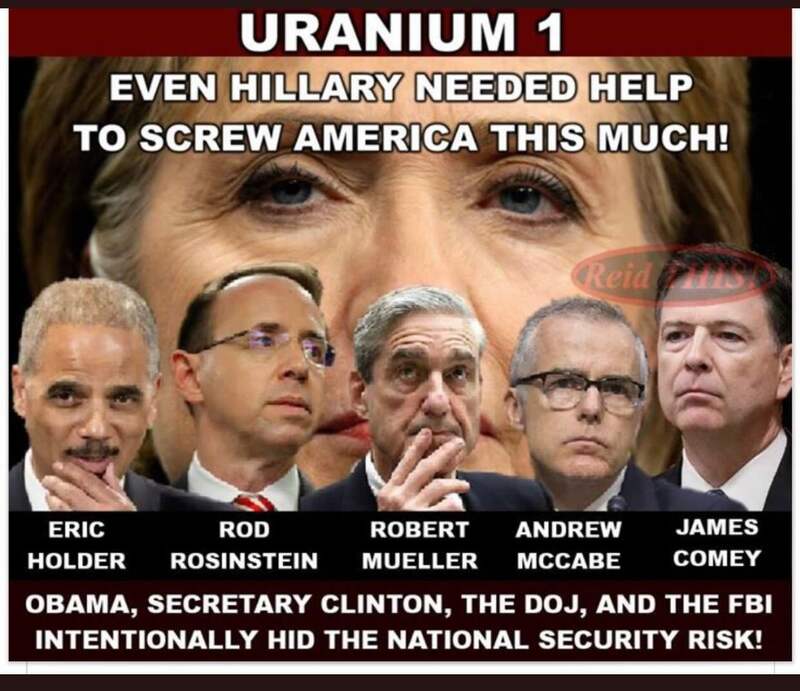 The Committee on Foreign Investment in the United States (CFIUS) is the committee that gave the approval to allow Uranium One to give the Russian controlled Rosatum controlling interest over Uranium One. The question yet to be satisfactorily answered becomes why would the Obama Administation ever approve of giving away control of 20% of our nations uranium, to Vladmir Putin and the Russians, which is used to make nuclear weapons? Follow the money and we just may soon find out.